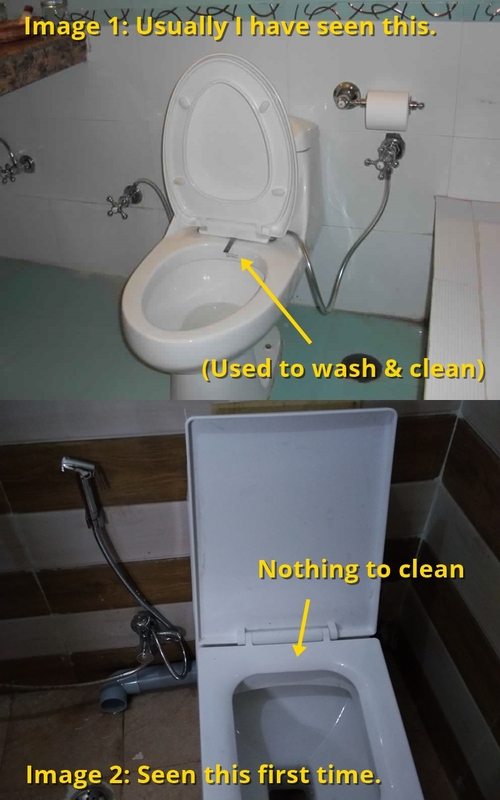 I saw this type of toilet (see image 2) in North India. The commode is same as most of the others. But I couldn't find the jet (see image 1) which is generally attached with the seat. So I'm wondering how do you clean yourself once you're done (image 2)? It's easy, use the hose! while you're sitting on the toilet seat, direct the hose to your private area (do not insert it there, of course), press and get yourself cleaned. This answer explains how to use the hose. See the thing on the left. This is known as Muslim Shower. I guess mostly used by Muslims. It is used to clean your dirty areas. crumple a bunch of toilet paper. Use it on your private part after you done. Pro tips : its better if you imbue the wet toilet paper with soap for cleaner private part. Not the answer you're looking for? Browse other questions tagged india hygiene southeast-asia toilets or ask your own question. What is the intended use of the water hose in Indian restrooms? Are the hoses in toilets in Asia something I should know about? OK we're all adults here, so really, how on earth should I use a squat toilet? How to deal with a full trash can for used toilet paper where you are not allowed to flush the toilet paper? 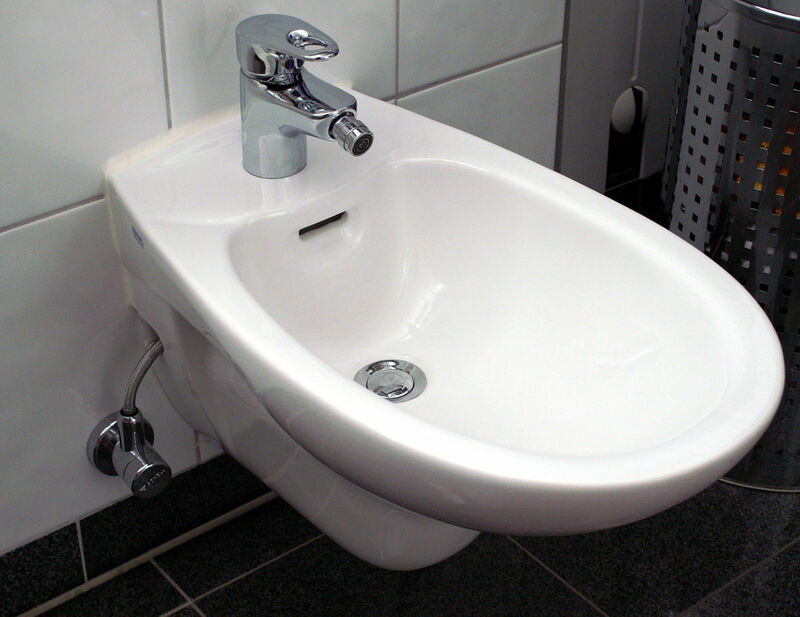 How can I wash myself Indian-style (using water not toilet paper) in Western toilets? What's the best way to take a cold shower? 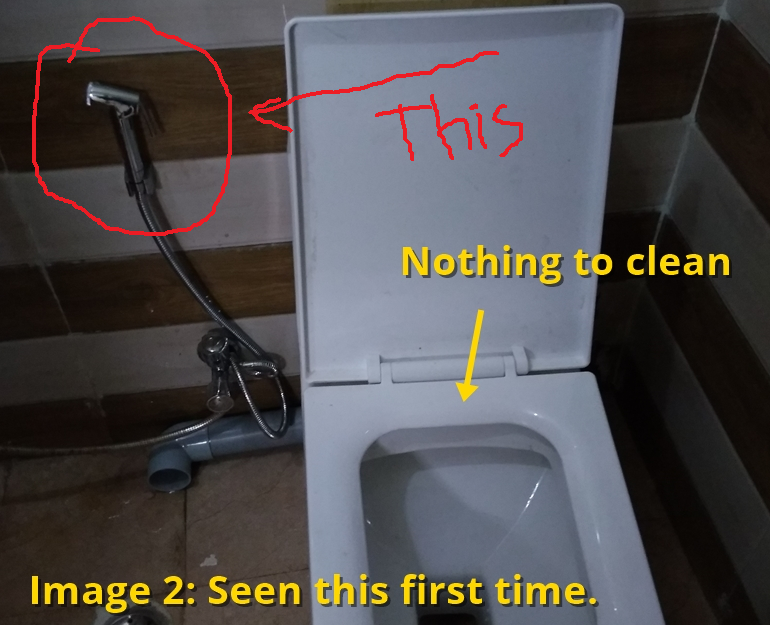 How to adapt to Western Toilets from Indian-style toilets? How to avoid re-stinking my freshly washed laundry when I only have one laundry bag? How am I supposed to keep a toilet bowl clean without a toilet brush? Should I put toilet paper in airplane toilets? How to use dual flush button in toilet?